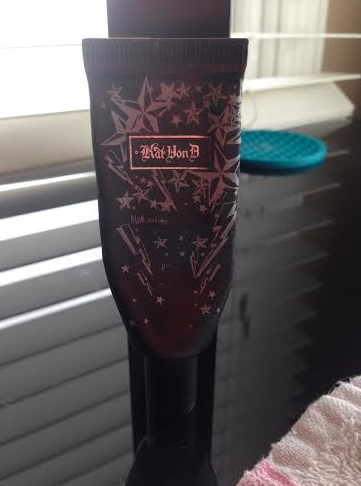 I’ve been using the Kat Von D High Voltage Eye Primer for about 6 months now and I absolutely adore it. It’s my go-to eyeshadow primer. It retails for $15.00 in a 0.04oz tube and you can find it at Sephora. The KVD High Voltage Eye Primer has a nice light weight texture and has a little bit of a yellow/beige pigment so it also helps with eyelid discoloration. 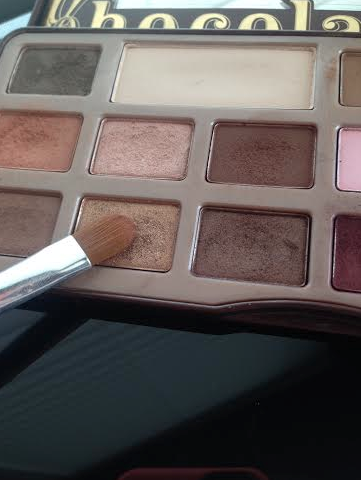 This primer definitely keeps my eyeshadow on all day, even after a mini workout. 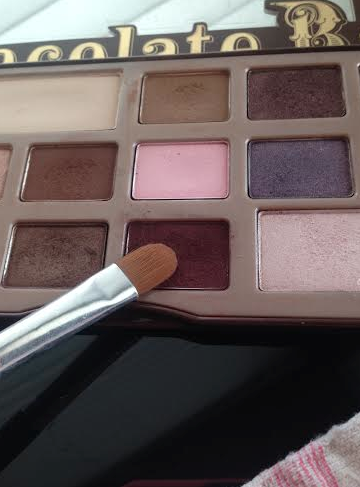 I swatched a few colors from my Too Faced Chocolate Bar palette, on the right I set the primer down on the left there’s absolutely no primer. First, is my favorite shade in the Chocolate Bar; Cherry Coridal. In the middle is a lovely gold, Creme Brûlée, lastly is Candied Violet. 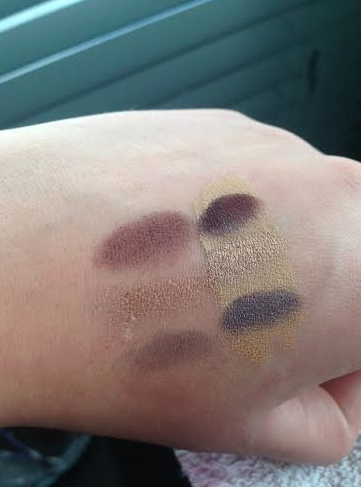 Here’s what the swatches looked like after a few hours of running errands. 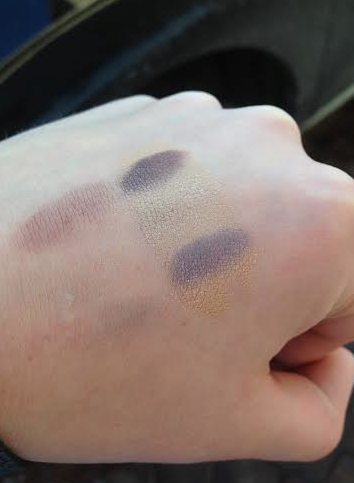 Obviously my hands come into contact with more things than my eyes do on a daily basis, but you can clearly see the KVD primer keeps the color strong. 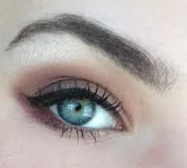 Don’t mind my eyebrows, I know I need to get them waxed, but here’s my makeup of the day. Overall, Kat Von D’s High Voltage Eye Primer is a must-have for me. 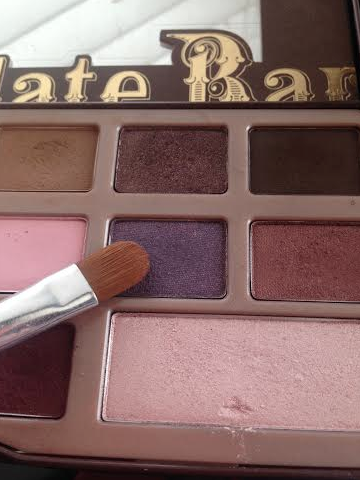 It makes the eyeshadows really pop, keeps the color on all day, and it makes shadows really easy to blend with. I love the matte finish as well as the yellowish tint in the primer, to help with my discoloration on my eyelids. If you haven’t tried it yet, you have to! 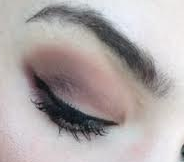 I’m always looking for new products to try out, and since we’re on the topic of primers I’d love to know what your favorite eyeshadow or face primer is! This entry was posted in Uncategorized and tagged beauty, Chocolate Bar, conversation, cosmetics, eye primer, eye shadow primer, eyeshadow, face of the day, face primer, fashion, favorites, follow, guide, kat von d, ladies, make up, make up of the day, opinions, primer, Review, Sephora, style, swatches, The Modern Lady's Guide, TheModernLady, Too Faced, tuesday, ulta. Bookmark the permalink.